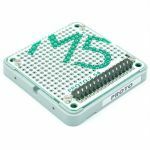 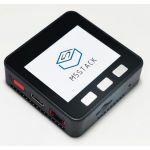 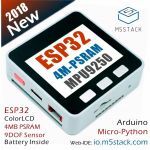 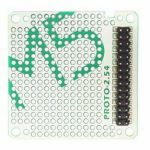 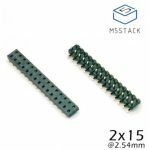 M5Stack is a robust, open source development kit with stackable modules, user-friendly IDE, enabling rapid and high-quality prototyping. 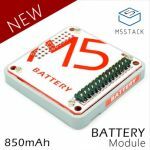 M5Stack’s goal is to make prototypes not only useful, but also beautiful thanks to its sleek aluminum shell. 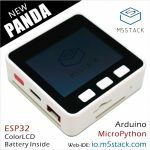 the system consists of a core module with an LCD display that can be stacked on top of a plethora of expansion boards — these include scopes, environment sensors, PLCs, GPS, batteries, and more. 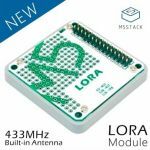 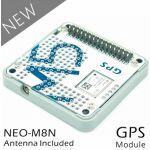 The platform is completely open source, and supports Wi-Fi, LoRa, and Arduino. 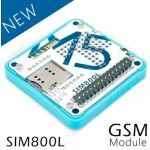 When combined, these modules can create a wide range of products, from sockets and switches to multimeters and automation controllers. 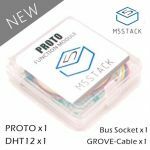 Experienced users can program their custom stacks with the Arduino IDE, while beginners can take advantage of M5Stack’s simple drag-and-drop online coding tool.